Royal family fanatics, rejoice! The new royal princess has a name, and a very royal new title: Her Royal Highness Princess Charlotte Elizabeth Diana of Cambridge. But when she comes of age, how should she fill out her drivers license? 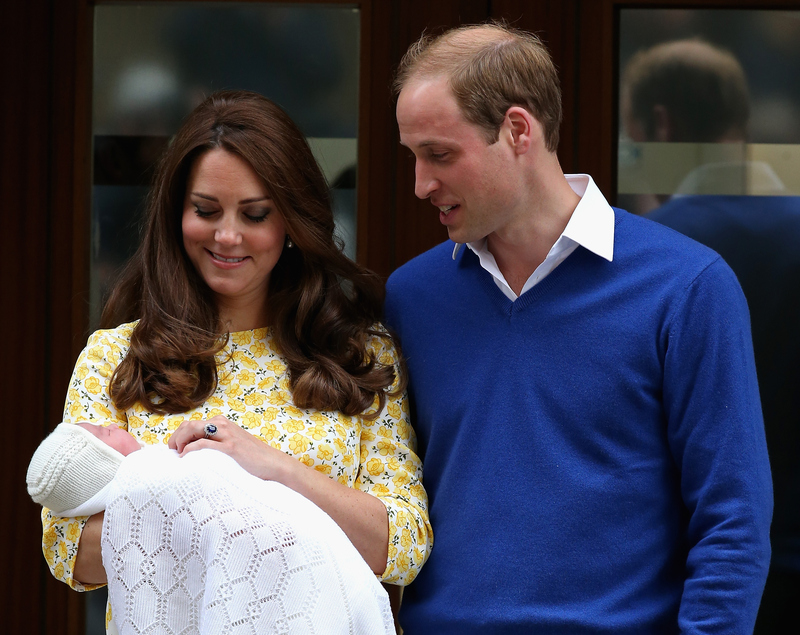 Wait a second — what even is Prince William's last name? In my mind, I've just been saying that it's, er, um, Prince or something. Turns out, there's a whole system to the way this royal surname thing works. Usually, the royals don't use a surname, because they generally have no reason to. After all, everyone already knows who they are. However, there are systems in place to provide the royals with last names if they should ever have the need to use one. According to the royal family's official website, William's last name is Mountbatten-Windsor. How'd this come about? Well, it's simple. King George V, the Queen's father, chose Windsor as the royal surname in 1917, and the Queen's husband Prince Phillip's surname is Mountbatten. There ya go! In William's case, he has a title, so he can take the hyphenated last name or leave it, depending on the situation. Same goes for Princess Charlotte. Their titles open up a few more options for what they can choose to use as last names — if they want to use them at all. According to International Business Times, Prince William occasionally draws from his title Prince of Wales as a surname. This means that in a classroom roll call, he could be called William Wales. But as the Duke of Cambridge, he can also choose to go by William Cambridge. Basically, his last name can seemingly change with the direction of the breeze. So when would the royal family need to use a surname? One example is when Prince Harry joined the military, he needed to have a last name, so in the army he was known as Captain Wales. The same thing occurred when Prince Philip joined the Royal Navy and took the name Philip Mountbatten. As far as the new little bundle of joy goes, she can either be called Charlotte Elizabeth Diana Wales, Charlotte Elizabeth Diana Cambridge, Charlotte Elizabeth Diana Mountbatten-Windsor, or just plain Princess Charlotte Elizabeth Diana. Say all of those 10 times fast.